This group started play on Tuesday in Belgium as defending champions USK Praha beat hosts Castors Braine 73-49. Sonja Petrovic is clearly back to her best as she led the way with some help from Kia Vaughn. On Wednesday, Nadezhda took a big lead in the first half at home in Orenburg and beat Abdullah Gul University 68-61 with DeWanna Bonner helping offset a big performance from LaToya Sanders. 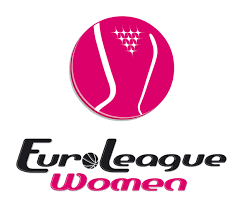 On Thursday, Wisla Krakow looked overmatched at home again, but came back in the fourth quarter to stun Bourges and pick up their first win 66-64 behind Yvonne Turner. The week closed in Girona, where the hosts put up a fight against powerhouse UMMC Ekaterinburg, but could not overcome a tremendous solo effort from Diana Taurasi, who kept her team undefeated in a 76-71 final.